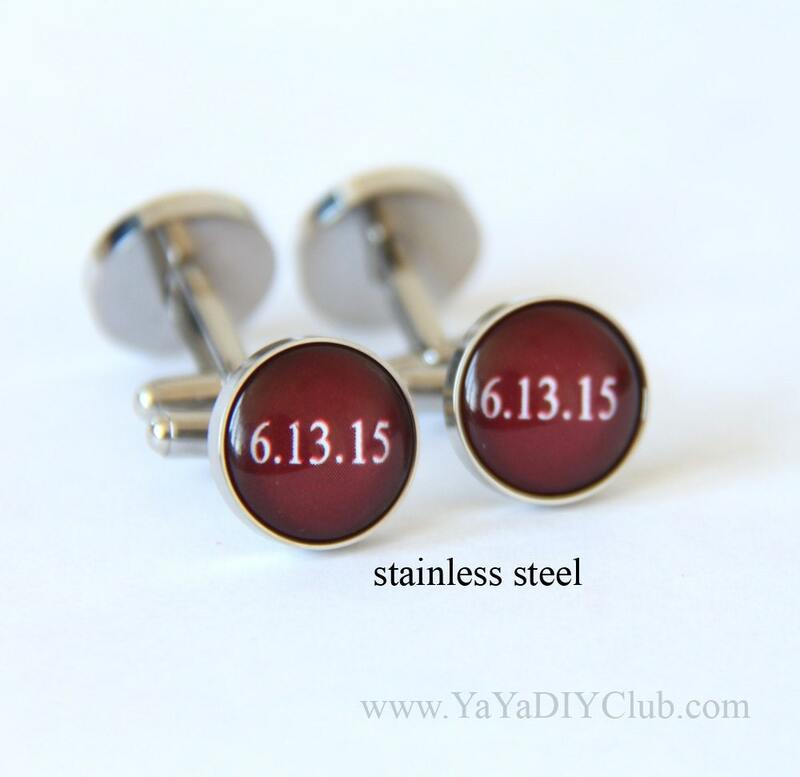 Custom Personalized Cufflinks in wine Burgandy color background or custom color of your request. Perfect memorable gift for groom, best man, groomsmen gift and wedding favors. All photos and contents are copyrighted by yayadiyclub.etsy.com.